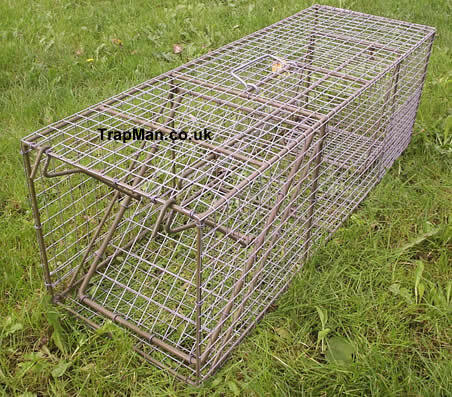 Large feral cat trap, a much longer, larger cat trap for catching those large tom cats and similar sized animal pests, Strong steel frame, clad with 12 gauge inch by inch galvanised wire, spring loaded drop down door, hinged from the roof which locks to prevent the cat reversing out. 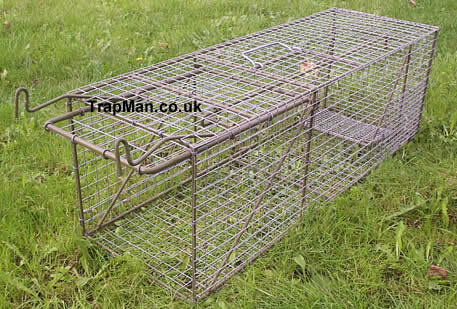 This cat trap although heavy would be ideal to lend out as it is very simple to set, needing little trapping experience from the operator. 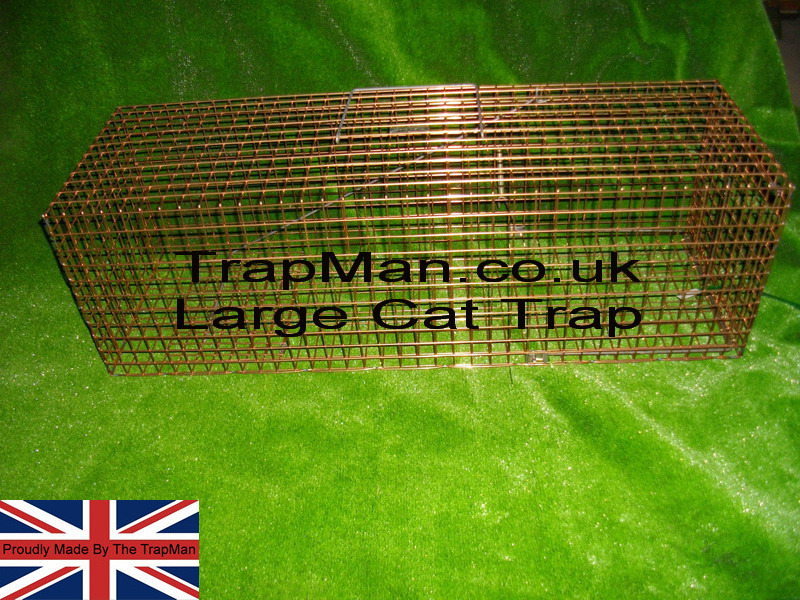 Less expensive than eazieset feral cat trap with half the outlay for what we think is a much better large feral cat trap. 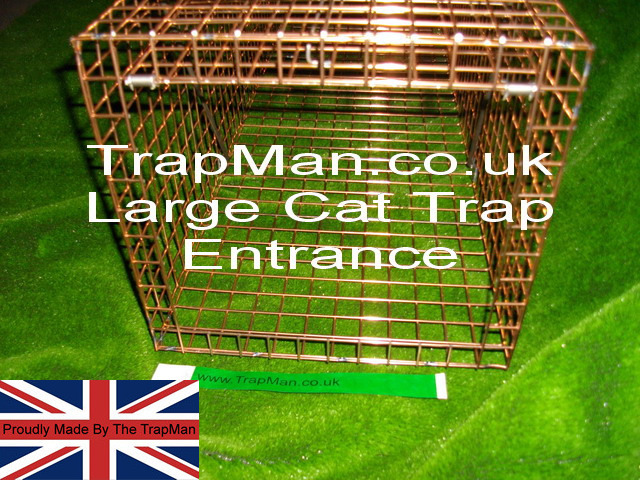 Much larger than our standard feral cat trap & pro gold cat traps and just as easy to use ! 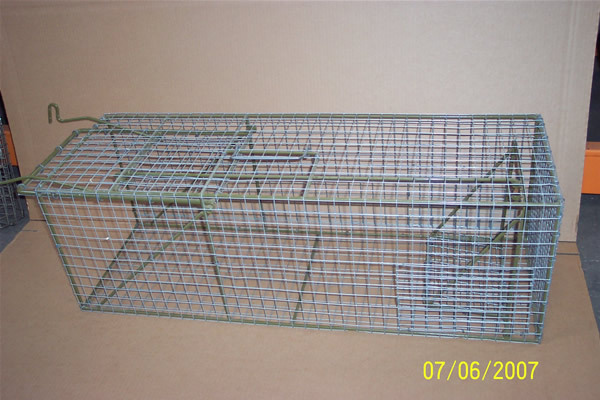 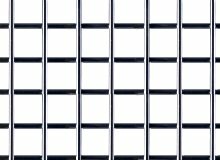 Need a cat carrier to put the captured animal in after its been caught, try our wire cat carriers don't use an old cardboad box that it can escape from again, do a proper job.